Our Deluxe two Bedroom Suite is ideal for a family stay or a couple with the desire for more space and a high quality finish. The room has a main room/bedroom that includes a Double/Twin bed (i.e setup options of a double or two singles), Dressing table, large wardrobe and a sofa/coffee table area with a 40″ flat screen TV. The sofa can be used as a sofa bed that increases the capacity to a maximum of 6 (additional occupancy charges do however apply). The 2nd Bedroom has 2 single beds and side cabinets, ideal for two children and there is room in the 2nd bedroom for a travel cot if required. (available on request). The kitchenette area has a kitchen unit that includes a sink, kettle and microwave and is idea for those with young babies who require bottle washing & sterilising facilities. In the kitchen area is also a small table and a playstation 3 to keep the kids amused. 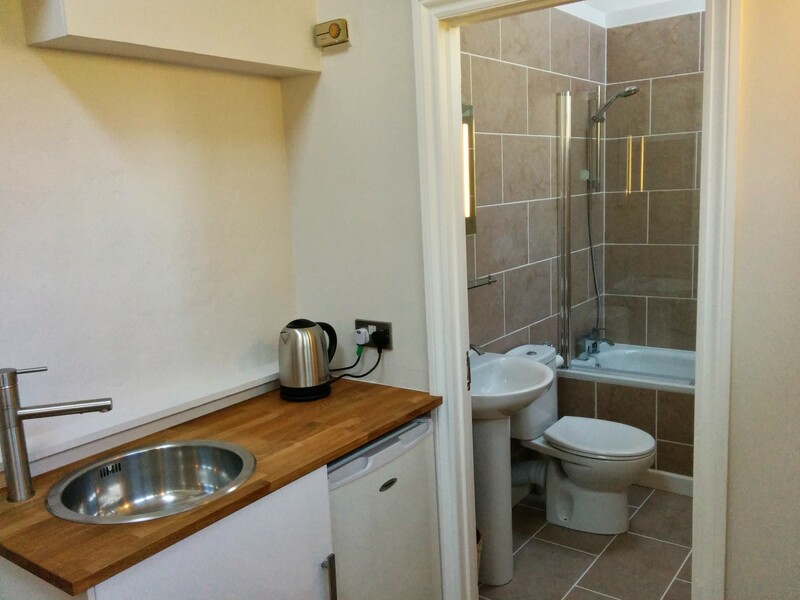 The bathroom is en-suite and has a bath/Shower, sink and toilet. Our Single rooms are ideal for an individual and furnished to a superior standard. Some of our single rooms offer small double bed (not best suited for two people) so clients have plenty of bed space when staying on their own. Single Rooms have TV’s, Tea and Coffee making facilities. Our Family Room has a Double/Twin bed option with an additional 2 single beds. There is also room for a cot. 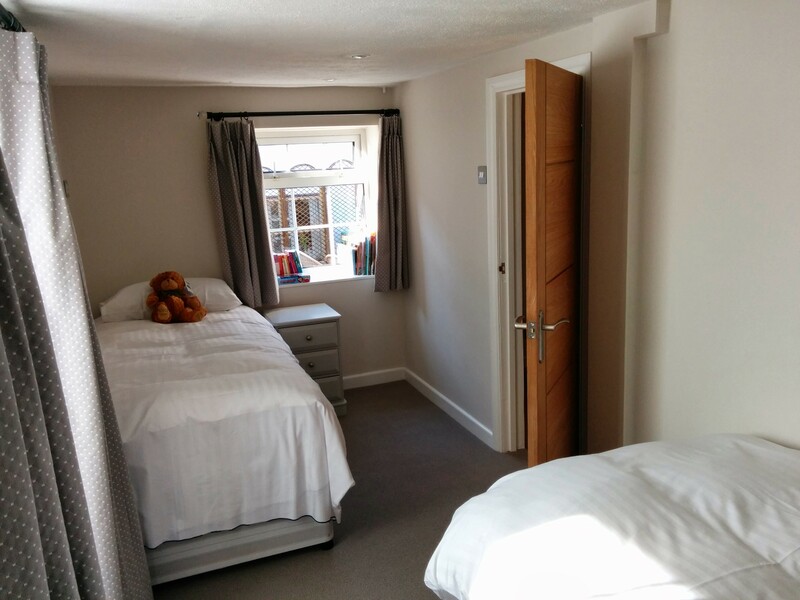 The room can therefore accommodate options of 4 Adults in single beds or 2 Adults in a double and 2 children in singles and a small child in a cot. Please contact us if you would like to discuss sleeping options. Our Family Room also has a small door & Balcony over looking our Garden making this a very comfortable place to stay with the feeling of space. The family room has tea & coffee making facilities, large TV, Balcony with 2 chairs and an en-suite bathroom. 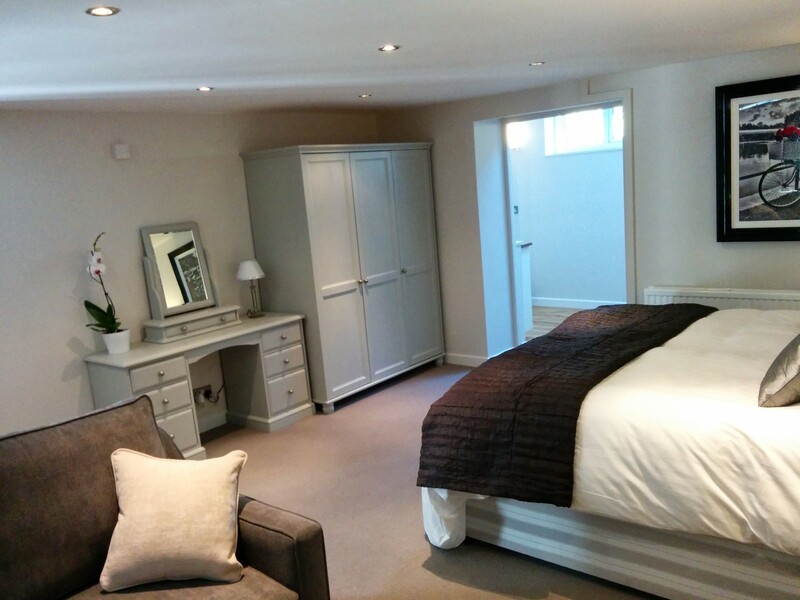 Superior Double Rooms are en-suite and are larger than standard. They’re individually decorated and offer comfortable accommodation. Each room has a TV and Tea & Coffee making facilities. Room prices include a full cooked breakfast. For special occasions we can arrange for flowers and champagne to be provided in your room. Room shown above is a recently refurbished room. An ongoing refurbishment project is underway at the Dragon inn and therefore the picture above is not representative of the style of all bedrooms, specifically those that are awaiting refurbishment. All Standard Double Rooms are en-suite. They’re individually decorated and offer comfortable accommodation. Each room has a TV and Tea & Coffee making facilities. Standard rooms are differentiated from our superior rooms by the bathrooms. The rooms are in areas of the building where the bathrooms have a low ceiling height and therefore they offer bath’s with shower attachments but do not have enough height for a full shower facility.